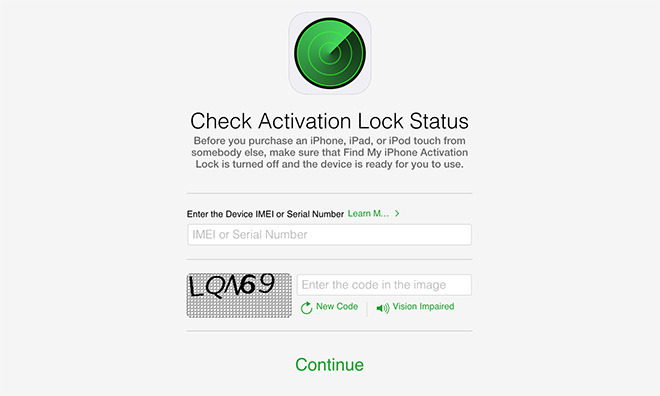 Apple has seemingly removed an important part of its online iCloud functionality on its main site: the iCloud Activation Lock, which allowed users to figure out if they had purchased a stolen iPhone, iPad, iPod, or Apple Watch. And in this economy, that’s an especially useful tool. Users were previously able to enter the IMEI number of the device to check against an Apple database, but it seems the site has been taken down as well as all references to the page in Apple’s various support pages. Now the support pages simply tell users to test Activation Lock in a hands-on capacity, and have the seller help resolve the issue if the results come back positive. This can’t always be the case, especially if you buy online or via a third-party where the old user isn’t available anymore. This feature has been available on the iPhone since iOS 7, so it’s bizarre to see Apple taking a step back in terms of privacy and security for owners, especially when there are so many people out there looking to make a quick buck flipping and selling stolen goods. Your best bet may be to only buy via reputable sellers going forward or buy purchasing new devices if you don’t want to get burned, which has always been a good rule of thumb.